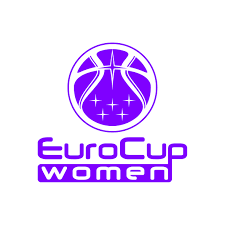 With seven games being played on Wednesday and nine on Thursday there was a lot of action going on in the EuroCup competition this week. On Wednesday, Spartak Moscow went to Turkey and beat Adana 73-67 with some great shooting by Daria Kolosovskaia. On Thursday, Piestanke Cajky went to Turkey and stunned a Besiktas team that got a strong effort from Cappie Pondexter 79-75. Sydney Carter led TTT Riga to a 64-60 win in Umea, Sweden on Wednesday as the qualifiers continued their hot start to the season. On Thursday, Orduspor got the 87-72 win over Dynamo Moscow at home in Turkey as Courtney Vandersloot controlled proceedings. Both games in the group were on Thursday as Dunav picked up a 75-65 win at home in Bulgaria over Lulea. Istanbul University went to Russia and managed to grind out a 57-48 win in Ivanovo. This was one of the groups with both games on Wednesday. The first one was quite exciting as Wasserburg welcomed Nantes to Germany and lost in overtime 79-78 even though Shey Peddy put in a mammoth effort. Later in Italy, Venezia beat Pecsi 62-49 despite a big game from Binta Drammeh. On Wednesday, Nymburk went to Switzerland and beat Fribourg 74-54 although Kristina Santiago had a strong game for the hosts. On Thursday, Landes made the trip from France to Hungary and beat Pecs 79-62. This group had both of its games on Thursday as Miskolc welcomed the combined efforts of Orange Blizzards to Hungary and beat the Dutch all star team 79-57. The week’s action ended in Italy, where Napoli beat Valosun Brno 68-60. Both games in this group were on Wednesday, starting in Belgium, where Namur beat their visitors from Gyor 80-74. The day ended far out in the Atlantic Ocean as Sportiva welcomed Angers to the Azores and held on to 73-69 win.